We’ll get by with a little help from our friends? On Friday 8th April, 2 months after being told that Emma had 1-2 months left to live, I rang the hospital to speak to her oncology nurse. I asked if it would be possible for Emma to have an MRI to check on the progress or possible regression of the cancer in her brain. The nurse said she would get back to me on Monday 11th April after speaking to Emma’s oncologist. I received a call from the oncology nurse on Monday as promised. The answer from the oncologist was an emphatic NO! The nurse then said “but she could come in for an appointment if she wants some treatment”. Emma had already chosen not to have any more chemo after being told by the same oncologist, who was now offering it to her again, that it was the original chemo that had caused the cancer to migrate to her brain in the first place. Go figure?! I have since rung the same nurse to ask for this information in writing, I am waiting to see if it will materialize. If any of you know of alternative methods of tracking the cancer could you please let me know? The only other current option is to raise money to pay for a private scan (£2,500). I know you have probably already paid into Emma’s fund if you are reading this – please know how grateful we are for every penny that has helped to maintain her presence in our lives, and also for helping us to create the memories that we have so far…..
As you will know yourselves, if you have danced with the Big C, or if you know of someone who has (let’s face it, who doesn’t know someone in this day and age? ), following an alternative, natural route costs a lot of money. You will also know that no cure is a cure-all for every type of cancer. So, just like you, we are testing out a few options. As my friend Louisa said in a recent post on Facebook, we are leaving no stone un-turned! This is a very accurate statement. Who wouldn’t try everything that sounded feasible that already has good success rates, if they thought it might help save their child’s life? And it all costs money…. So can I please ask, if everyone who reads this blog – over 5,000 people so far! – donates even £1, £5, £10 – whatever you can afford – we would easily be able to book a scan for Emma so that she can actually see what is happening. I think this is currently the main incentive for me. Emma needs to actually see what is happening in her brain. So, dear friends from wherever you live in our global family, please let’s show the system how Emma can get by with a little more help from you? There is very little of the funding money left after the wonderful break in the forest and paying out for everything Emma needs to make her life just a little bit better each day over the last 8 months. Can I please ask you now to share our blog so that others can become aware of the differences that have been made, along with lots of useful tips and recipes, and also PLEASE share our funding page. We need to find a way of monitoring Emma’s progress without putting her through chemo or radiation therapy again. YOU can help us to do that. Sue Fraser (Praying for more wonder-filled days with Emma) Your Prayers Love and Healing are also very much needed and gratefully received!!! For the first time since going into hospital Emma woke up feeling gooooood! And that made all of us feel G.O.O.D.! We even managed to go for breakfast together, as you can see from the picture. Our landlord had arranged for our ancient boiler to be replaced today, which meant lots of drilling and banging and noise in general, so we opted to go out and enjoy the sunshine, and what a good few hours it was..
Emma is still having the various ingredients of the Budwig Protocol, and hope-fully and prayer-fully, they are beginning to help. She is still taking the Essiac tea and drinking organic juices, freshly made each day – and we are still using Frankincense Essential Oil daily, along with the Scalar Wave Laser. I also believe Emma’s positive mind-set has a lot to do with how she is responding to this natural treatment. We have so much to be grateful for each day. I have started writing ‘Dancing with the Big C – Recipes and Tips’, and hopefully it won’t be long before you can have a copy of your own and learn how to build your immune system and Dance with the Big C.
Until next time please help us to keep helping Emma by donating to the gofundme account for Dancing with the Big C. We wouldn’t be here without all of you! So far you have helped to provide the ingredients for the Budwig Protocol, bought Frankincense Essential Oil, and you have been helping us to create some amazing memories like the ones at the beautiful Deerpark Forest Holiday site in Cornwall last week. Sooooo, on Monday 8th February 2016 at 9.45 am Emma had an appointment at the Royal Eye Infirmary in Plymouth. This was after a routine eye test for new glasses as she had been experiencing some problems with headaches and blurred vision since around Christmas.. I am so grateful to the optician at Specsavers who saw Emma, for referring her as quickly as she did to the Royal Eye Infirmary. Previous to this, Emma had been for a scan on 15th January (6 months after her last one). She wanted one 3 months earlier just to put her mind at rest, but her oncologist insisted that she left it 6 months. Her next routine visit to her oncologist would have been on 11th February, almost a month after the scan. We tried to make it earlier because Emma was having headaches etc., but he insisted on leaving it until the 11th. Back to the appointment at the REI: The consultant explained there was something between the back of the eyes and the end of the optic nerve and he wanted Emma to have an emergency MRI. He booked her in straight away and asked us to wait around for a phone call. Whilst we were waiting for the call we went to the oncology unit to see if we could have a chat with Emma’s oncology nurse. She was available so they allowed us to see her and then Emma’s oncologist popped in to see us too. We explained what the eye consultant had asked us to tell him and he said he also thought Emma should have an urgent MRI because it looked to him as if she might have Meningitis. He told us to go to A&E and get her admitted as she would have to stay overnight to have all the tests. Emma’s oncology nurse did stop us as we left though and said that the good thing was that the cancer in her body was unchanged. It hadn’t gone anywhere else…..
We did as we were advised and at 8pm Emma eventually got the MRI. In a very short time a doctor came to see her and said the news wasn’t good. It wasn’t Meningitis, but Emma did have a lot of cancer spread around her brain…. Danni and I were with Emma when she received the news. As anyone with a child can understand, we were all devastated and I think all 3 of us went into a state of shock. Personally, I couldn’t understand how this could happen when the rest of the cancer throughout the body was practically gone?! And…. how could the nurse have told us only a few hours before that the cancer hadn’t spread anywhere else?! Why hadn’t anyone been checking her head???? So, Emma was admitted and put on steroids to bring down the inflammation because it was causing so much pressure and affecting lots of things in her body. I sat next to her all night and was amazed at her reaction. She became very calm and accepting of the situation. We had to wait until the following lunch time for her oncologist to visit us on the ward. He informed us that the news wasn’t good. He also said that the trial chemo that she was blasted with originally had been too drastic and that’s what had caused the cancer to migrate to her brain. I asked how long he thought she had and he said about 1 or 2 months. OMG!!! He then said she needed radiation to blast holes in her blood/brain barrier so they could get chemo through it?? Emma immediately said ‘NO!, why would I want more chemo when you just told me that’s what caused the cancer to grow in my brain in the first place?’ He got quite frustrated and left her to make up her mind and asked us to go and see him on Friday with our decision. We were left to rage and weep at this news. How can this be possible? That same day Emma’s friend came to visit her in hospital. She had been researching the original trial chemo; she found that 5% of patients having this particular treatment ended up with brain cancer. Why hadn’t anyone been monitoring Emma’s brain when 5 out of every 100 people ended up with this? Emma’s oncologist obviously hadn’t because he told us the day before that Emma’s situation was unchanged…..Her head had not been scanned. How is Emma dealing with this? I stayed awake most of the night while Emma was in hospital looking up info on natural treatments for brain cancer. Apparently, treatment that works on the body may not work on the brain because of the Blood Brain Barrier (BBB). I had no idea about this….. Although, I had already been reading about the effectiveness of the Essential Oil Frankincense and its ability to enter the BBB. I had even ordered a 50 ml bottle of this only a week or two previously. Maybe my intuition had already kicked in?? I’m still researching it but I will write more when I have the information. At the moment Emma is taking 3 drops morning and night on her tongue and holding it on the roof of her mouth for a few minutes. According to researchers out of Baylor University Medical Center in Dallas, the potential cancer-killing properties of frankincense are due in part to it regulating cellular epigenetic machinery, which highlights its ability to influence genes to promote healing. I have also been researching the Budwig Protocol. Today I received the book ‘A Day in the Budwig Diet’. I’m in the process of making sense out of it so that we can use it practically every day. A wonderful friend has loaned us a ‘magic wand’ as she calls it. I have to say this laser is already making us feel goooood! I believe that we can learn this new dance and find a way to bring Emma’s body back into balance and make ‘Squish’ happy…. However, we have to be realistic and put things in place in case we simply don’t get to learn it. 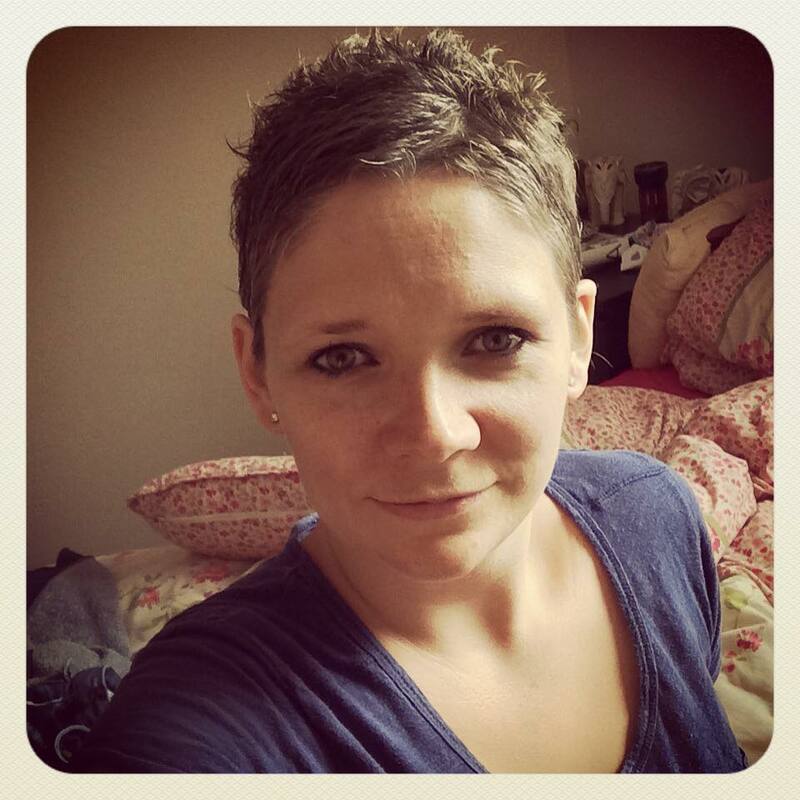 Emma has expressed a wish to make some lovely memories with her children and family. We’ve set up a GoFundMe page to help raise funds to do this and to help fund the treatments we are trying. If you would like to read more and help us to make Emma’s wishes come true or if you can help us in any other way please donate using the link or contact us here. We are all, as a family, amazed at the generosity of people so far. From the bottom of our hearts Thankyou so much!!!! Hope the festive season has been everything you wished for…. It looks like it may lead to a whole other blog, if any of you have any natural remedies for acute diverticulitis or Diverticular disease please let me know how you are coping with it? Fortunately I can get them from my local Ethica store, which is a really lovely shop with very friendly and helpful staff, here in Plymouth, UK. So now for a recipe. I’m going to try this one today and let you know how it goes. 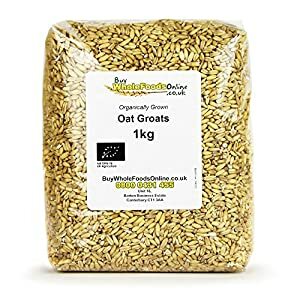 If you’ve already got a favourite raw oat milk recipe that you use, maybe you can share it with us? Until next time, enjoy the New Year! p.s. Emma is doing really well!!! It’s taken a while for Emma to be ready to meet her public 🙂 She is a very private person, who doesn’t like the limelight – but! she now realises that passing on the information of what she has achieved could help so many other people to be well and cancer-free too. What are you putting under your arms? Whilst the cancer industry deny that deodorants (as well as other daily cosmetics and toiletries that we use regularly on our skin) are not a risk for cancer, I am not convinced…. Professionally, I am an Aromatherapist, amongst other complementary therapies. I am also a teacher and a researcher. I would not present any information unless I believed from my own research that it was valid. And let’s face it, with the amount of information out there on the net these days we don’t have to wait for a scientific paper to know what’s going on. For example, we are quite capable of making our own decisions as to whether heavy metals in a product are good for our body or not. So, as part of my training I was taught about the lymphatic system, which back then (1987) was new to me. Nowadays, it’s common knowledge that the lymphatics are a part of our immune system. I read on the cancer research page that no large enough scientific studies have been carried out to find out whether or not deodorants, or other cosmetics play a part in the cancer risk. Why not? If cosmetic companies are so sure that their products will pass such a test, why are they not having these tests carried out themselves? As I talked about in my blog about what affects the Immune System, whatever goes into the body – either through the elementary canal, the skin, or through the olfactory function (smell) of our bodies, the contents of what we are putting on our bodies, eating, or inhaling (numerous environmental toxins) are still entering the body, and will after time cause a build-up of those toxins. It just makes sense to me that the contents of a spray can or roll-on stick of deodorant should be looked at. What is in that product? 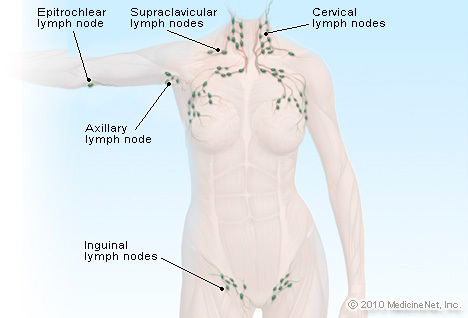 When you use it, it is going directly into one of the main lymph glands in your body – the Axillary lymph node. So, when I learnt that Emma had been diagnosed with terminal breast cancer, one of the first things I did was buy her a deodorant without all the nasties that a ‘normal’ deodorant contains. We love our deodorant sticks so much, which have lasted us since January, and still going strong! – that I decided I would join the company that provides them!!! If you also have concerns about what you are putting on your body, and would like to order a deodorant stick, please follow this link to my online shop with Forever Living. However, I have just found out that this link only works from a laptop and not on a mobile, sorry for the inconvenience! Please take time to see if there is anything else that you might enjoy trying out. I love Aloe Vera!!! Can I just say that I realise we’re all different, and everyone needs to check out with their own bodies whether something that we are doing is good for them too. I am not a doctor, I am however training in Nutrition after going through the last 6 months with Emma. I have learnt a lot, and if what we’re doing can help you too, that’s a gift in itself! So, if you’ve read my blog on our morning metabolism booster you will have the recipe for our morning brew. If you want to keep a track of how you’re getting on I would suggest peeing on a pH strip on a weekly basis, and check that your acid/alkaline balance is kept close to 7.3/7.4 for optimum well-being. sieve kefir grains and use the yoghurt milk that’s left as a basis for smoothie (mine is made in a 1/2 litre kilner jar with a muslin cover – thoroughly wash the jar and place the kefir grains back into the jar. Top up with 1/2 litre of organic full fat milk (of your choice), and leave at room temperature overnight). Cover with muslin. Pour the yoghurt milk into your smoothie container. add 3 dessert spoons of frozen berries (something good gets concentrated when berries are frozen, if you find the info before me please let me know and I will add it here). My memory isn’t the best! This is an awesome breakfast for us, and it keeps us going until lunch time… we have lots of energy!!! 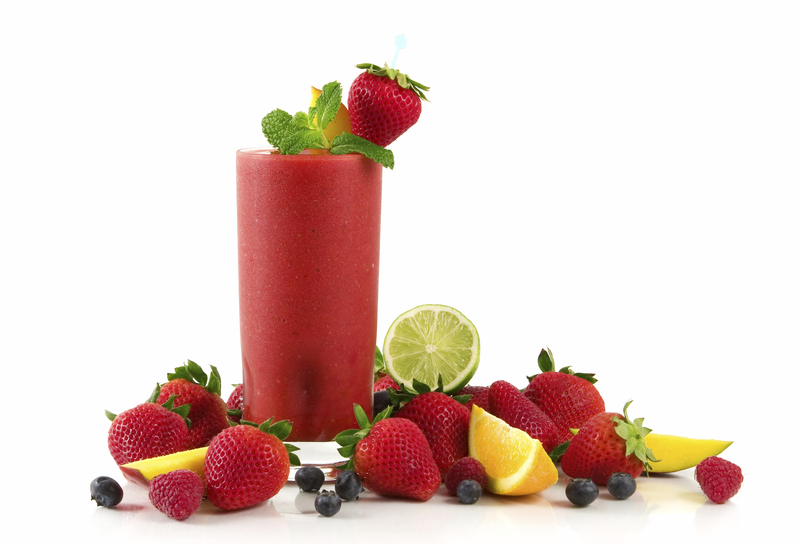 I would just like to repeat that I am not prescribing a recipe for anyone, I’m simply showing you what we do, and what works for us – there’s a reason for each of the ingredients in our smoothies. You may prefer other ingredients, have fun and explore the awesome variety that nature provides for us! Next we make the carrot juice. Depending on what else we have, we might add a pineapple, grapefruit or melon – there is so much to choose from!!! For Dinner, it depends whether we’re very hungry or not, generally we will swap between fish or nut cutlets. or my home-made ‘pulp veggie burgers’ with more salad or steamed veg. There is so much pulp when you are juicing that I’ve been making pulp-burgers. They’re always different and yummy!!! Throughout the day we drink lots of filtered water and herb teas. Emma loves peppermint and liquorice, my favourite at the moment is yerba matte, which gives me energy. And that’s literally a day in our lives. And, last but not least – we have 30ml of Essiac Tea (brewed and in the fridge) with 60 ml of hot water and drink it before we go to bed. What Affects Your Immune System? 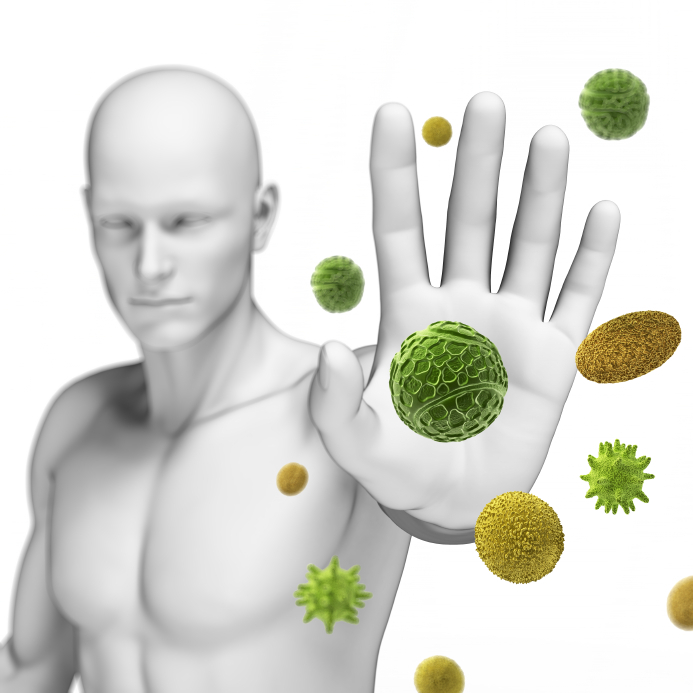 What Affects Your Immune System?. I’m going to attempt to offer you as much info as possible on this subject, in as simple a format as I can – because it’s a biggy and some of it we have control over…. we have freedom to choose, but that choice is only valid when we have the information we need to understand those choices. I will be using Ty Bollinger’s research again in The Truth About Cancer, mainly because it’s up to date and relevant – and he wants it to be shared with as many people as possible. I may have to split this subject because there is soooo much information! How do they harm us? BUT we can say it’s safe and effective, and it causes no harm. I have to say I am just a s amazed! Ty asked her about the HPV vaccine, where the package insert says it may cause other kinds of cancer! The VAERS report states that many girls who have been fully vaccinated with the HPV vaccine… within 3 months to about 2 years they are diagnosed with cervical cancer and massive cases of venereal warts. It can cause a lot of harm and gives a false sense of security to mums who think they are protecting their girls from getting cancer. These vaccines have NOT been tested for cancer! According to the Lancet (published 2002) the Simian Virus-40 (SV40) that tainted the Polio vaccine caused over half of the 55,000 cases of non-hodgkins Lymphoma of that year. Dr Robert Scott Bell believes that allopathic medicine is a dangerous death cult, although he adds that it excels at emergency and trauma medicine but when it comes to managing chronic diseases that they create it’s an absolute disaster. He says we need to get out of this if we are going to not only heal cancer, but prevent it from ever having to happen. Ty asked Dr Bell about some of the ingredients in vaccines that might be carcinogenic. He puts Mercury at the top of the list. Even at minute doses the Homeopathic Materia Medica has pages and pages of potential effects of its exposure. 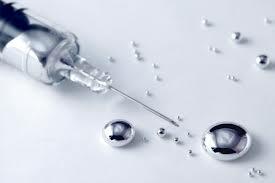 Mercury affects every system of the body. Dr Bell says it’s the biggest baddie of them all, and believes that it ultimately facilitates cancer. What’s interesting is that most of the time these drugs are approved by the FDA (Food and Drug Administration) even though there have never been any controlled crossover centre studies to determine their safety of efficacy. There are thousands of families that would willingly volunteer information about their child’s health who have not been vaccinated so that cross comparative studies can be done looking back. Dr Bell suggests the FDA don’t want to do these studies because they’ll find that the children who have not been assaulted in this way by a syringe are much healthier and have had fewer and fewer chronic diseases. Dr Veronique Desaulniers, who cured her own breast cancer, talks about the environmental toxins that can cause DNA damage and compromise our Immune System, potentially leading to cancer. She says that environmental toxicity plays a HUGE role…. 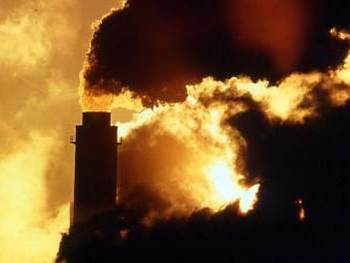 The EPA estimates that there are 74 billion pounds of chemicals being produced every day, in the US alone. Omg! They mimic oestrogen (which drives cancer) and many of them mimic hormone disruptors – they cause a LOT of problems! The CDC did a study in the US of over 2,000 people. They took samples of their blood, urine and saliva and found on average 212 chemicals in their bodies. This chemical stress really compromises the Immune System, putting loads of stress on the excretory organs, leading to DNA damage and more cancers. Dr David Jockers tells us that the average individual in our society urinates out seven pesticides each time they go for a pee! He also talked about a study undertaken several years ago where the umbilical cords of 10 newborn infants were measured for toxins. The average was 287 toxic chemicals, 208 of which were carcinogenic – a newborn infant!!! This is actual research. 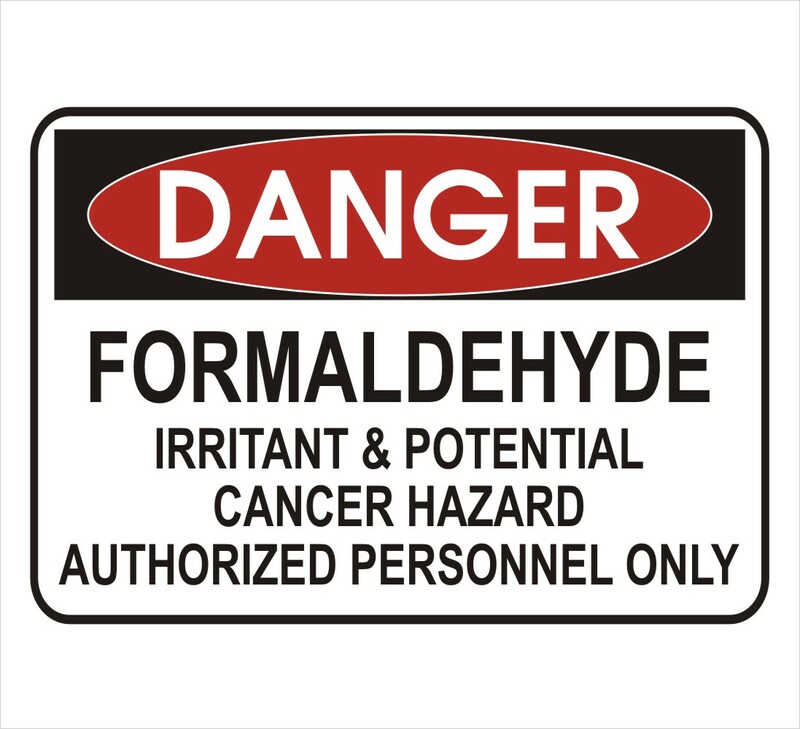 Empirical evidence is showing that these toxins are wreaking havoc on our bodies. All these factors affect our bodies and suppress our Immune Systems, creating an environment where cancer cells thrive. The Immune System then gives up minerals to neutralise, bind and excrete these toxins from your body, leaving it depleted. The body will now try and wall these toxins off, creating a tumour – so we see a systematic growth of cancer as minerals such as silica, which are necessary for connective tissue integrity, are no longer present. They are engineered not to die. These crops will not die when sprayed with Round-up herbicide, which normally kills plants. It’s supposed to make weeding easier for farmers who spray it over their crops, killing the weeds but not the GMO plants. We get to eat those plants! A gene taken from bacteria in the soil, called bacillus thuringiensis (BT) which produces a known insecticide is put into corn and cotton. When certain types of bugs try to bite or eat the plant, the toxin is released and it breaks open little holes in their stomach walls and they die. We get to eat both these poisons, the insecticide and the Round-up! Interestingly, the FDA doesn’t require a single safety study on GMOs! Why not? In 1992 a policy was determined that was overseen by a former attorney for Monsanto, Michael Taylor. This position was designed for him by the FDA when they were told by the White House to promote GMOs!! Taylor’s policy falsely claimed that the FDA were not aware of any information showing that GMOs were significantly different, so no testing or labelling was necessary. Monsanto and companies like them are allowed to determine whether or not their own GMOs are safe. 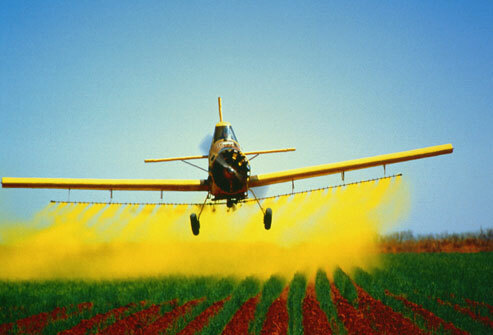 Very interesting, when they got it wrong about Agent Orange, PCBs and DPT being safe! Taylor was then promoted to Vice President of Monsanto and chief lobbyist. He’s now back at the FDA as head of Food Safety.???? They urged their superiors to require testing and complained about the drafts of the policy. Their concerns were ignored and denied! They are allowed to submit tests if they want to, but never give enough information to determine safety. e.g. Monsanto fed rats GMO corn for 90 days and said they looked good – so according to them humans can be fed all their lives on GMO corn. A research team, headed by Dr Seralini, decided to extend the 90 day study to 2 years. Dr Seralini reviewed Monsanto’s submissions to the EU and France and saw that there were more than 50 different statistically different changes in the animals compared to the control. Monsanto said “there’s no problem”. He published his findings showing very significant signs of toxicity. In his study, a month after the 90 days, the first rat started to get tumours. By the end, up to 80% of the female rats had tumours (almost all mammary gland). Up to 50% of the males had tumours, compared to far less in the controls. Seralini’s study also showed that GMO corn was causing premature death and cancer. Who is in charge of this policy? Michael Taylor – now Deputy Commissioner for Food Safety – or, as Jeffrey Smith calls him ‘The Food Czar of the US’. This is despite the 44,000 documents collaborated by the FDA’s own scientists saying exactly the opposite – that GMO foods are NOT substantially equivalent. How does all of this affect us and our Immune Systems? 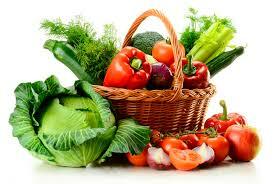 According to Dr Robert Scott Bell, pesticides have an oestrogen effect on the body. They also destroy enzymes and our ability to break things down and bind things out. This corruption causes the cancers we are trying to prevent, which means we have to make sure that what goes into our bodies is clean! Dr Patrick Quillin reckons we dump 2 billion pounds of pesticides, herbicides and fungicides on our fresh produce every year – none of which is good for us! Jeffrey Smith goes on to explain a bit more about Round-up (the active ingredient of which is Glyphosate) and how it promotes cancer. BT toxin produced by the corn promotes allergic reactions or Immune System reactions in humans and animals which can create inflammation – linked to cancer. Interestingly, a test of pregnant women, that took place in Canada, found that 93% had BT toxin in their blood, BUT so did 80% of their unborn fetuses! BT toxin may have made its way into the blood through the leaky gut which is created by poking holes in their cell walls. If it gets into the blood it can be cytotoxic – damaging the red blood cells. If it gets into the fetus – which hasn’t developed a blood-brain barrier, it could end up in the brain of the fetus. So, the next generation has a hole poking toxins into their brains! If the BT toxin transfers to gut bacteria and continues to function it can convert our intestinal flora into living pesticide factories, producing BT toxin 24/7- causing all sorts of gastrointestinal disorders, possibly creating leaky gut, which is linked to cancer. Those pregnant women tested in Canada, may have it in their blood because they are producing it in their gut..
160 or so different fruits, veg, grains, beans etc. It’s difficult to know where it’s being used, because it’s NOT labelled. Buying organic is a lot safer! The Union of Concerned Scientists Study showed that it doesn’t actually increase yields. The USDA recent study verified that GMOs do NOT increase yields. In many cases they reduce them. Ty interviewed The Health Ranger, Mike Adams – who was recently interviewed on a Dr Oz show. Mike insists that we should halt GMOs now! Everyone seems to be sick! The cancer industry is exploding – GMOs may turn out to be the single best recruiting tool for the cancer industry.